This Saturday, April 16th, is the annual Fansite Festival! This is a huge event that lasts all day long with several different parties/events in both Pirate101 and Wizard101. You can read more about the festival and all the events on the Fansite Festival website. 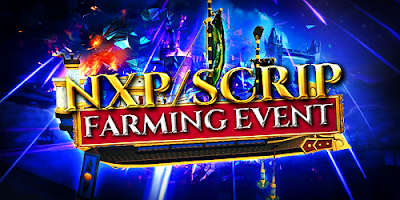 I am really excited that I am able to host an NXP event with Frostcaller this year as part of the Fansite Festival. Keep reading to find out more information! As stated above, we will be meeting up in Avery's Court before the event starts and then porting to Achaean Way to farm Spartacos and the surrounding ships for NXP, Scrip, gold and ship equipment. You can either meet us in Achaean Way or add us before in Avery's Court and port when the event is starting. Frostcaller and I will also be giving away some codes during the event (thanks to the Fansite Festival organizers and the awesome community managers)! You can be entered to win one of these codes by tweeting a screenshot during the event with the hashtag #NXPEvent2016. We will be choosing 4 random winners when the event is over and sending the codes through DM. So be sure to follow @SecretsOTSpiral and @Frostcaller1 and send us your screenshots! This is sure to be a fun event and I hope to see you all there! See you soon!